Here is a video summarizing The Medici Summit. Already long for the next one! In 2006 Nike and Apple showed that new combinations of existing technique can result in useful and lucrative products when they launched the Nike+iPod sportskit. Basically it is an iPod connected to a pair of jogging shoes and it gives the user information like distance travelled and calories burned via the earphones and the display. This intersection has now turned into an arena of competition as Samsung and Adidas present the result of their cooperation - the miCoach. 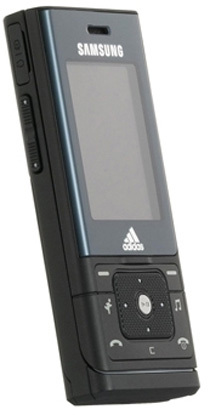 It is more or less the same concept but the device used is a mobile phone instead of a music player. It includes a heart-rate monitor, a shoe sensor and a Webworkout journal that keeps track of workouts. Read more about technical details and a comparison between the products in this Washington Post article. I have read some response from participants and I know that many of you share Frans’ WOW-excitement. We strongly feel that the conference lived up to our expectations and we are happy to announce that there will be a new Medici Summit next year! Therefore – to those of you who were there: THANK YOU! Your variety of experiences combined with the speeches, the music mix, the evening entertainment, the food and the constant discussions made The Medici Summit truly “mediciesque”. Those of you that weren’t there - which would be the majority of you – here follows a little summary and some reflections: Frans mentioned that much was different from other conferences. One such thing was everybody’s direct involvement; speakers and panel experts were participating in all exercises and table discussions. It was like a live version of The Medici Effect and it was actually difficult to make people stop talking. Frans started, establishing the theme with his intersectional innovation speech. He also took several opportunities to point out how excited he was about the whole event (as if we couldn’t tell.) And it really was exciting - I enjoyed every single second of every speech that followed. That is saying a lot but I am quite sure that everyone in the audience felt the same. Lina Echeverria talked about the role passion has for breakthrough research and how it is managed for successful innovation at the Corning lab. Omar Hijazi, CEO of Dubai-based Tejari, described Dubai as an intersection point of the east and the west and provided us with that perspective on global economy; he showed with facts and examples how the markets of Asia, Africa and South America are gaining momentum and that there is a lot to learn from them. He also pointed out that these emerging markets are massively underestimated in Europe and the US . (That made people talk during the break, by the way.) A Panel from Nike, moderated by Gina Warren, explained how they take inspiration from Batman and Native American art to create and market trend-setting sports products. Author Matt Mason used smurfs in computer games, colourful sneakers and illegal radio to describe how piracy in the information age has an important role to play for innovation since it catalyses creativity. Lim Chin Wah, the passionate CEO of Genesis Education Holding in Singapore added an Asian perspective and explained why education is so important in Singapore: Since they don’t have any other resource than people they depend on knowledge, skill, ideas, innovation and entrepreneurship. We also had the privilege of hearing former President of Ecuador, Jamil Mahaud, sharing his unique experiences; he reflected on solutions, successes and failures from a very personal point of view and really captured the listeners. Jay Lenstrom, CEO of Radiate Group, described how intersectional teams are needed to create marketing campaigns that people don’t expect and won’t forget. Ted Childs, the former Vice President of IBM’s Global Workforce Diversity, explained how diversity is crucial for business performance. He was also very critical of the performance of the American school system and it struck me that an intersection with ideas from Singapore could be a way of treating some of the problems he sees. The closing keynote speaker was Nick Donofrio, Executive Vice President of Innovation at IBM. Like many other speakers he stressed the global perspective and talked about using resources and innovation to improve quality of life in developing countries. This is usually regarded as a moral issue, but according to Donofrio it is an extremely important business issue. Again, we want to thank ALL participants for contributing! Your creativity was crucial for the success of this experience. We are looking forward to mixing new perspectives together with you at The Medici Summit 2009! Wow. Just WOW. Just Wow Wow Wow. So last week we had The Medici Summit. After worrying for months about ensuring that this event did, indeed, create the Medici Effect on location I can safely say that it did just that. The feedback we have received has been tremendous. Several people told us it was the single best conference they had been to in their entire professional career. Don’t really want to spend this post bragging but such kind words do feel good after months and months of going nearly crazy trying to pull this thing together. Over the next couple of weeks we will share some of the great insights and experiences that were generated over the two days. The goal of The Medici Summit was to create a true dialogue and we did several things differently from most conferences. It was a bit of an experiment but, boy, am I glad we tried. We’ll share some of those differences here at the blog as well – along with a bunch of videos. One is already up at the Pirate's Dilemma blog - take a look!